“Does the law exist for the purpose of furthering the ambitions of those who have sworn to uphold the law, or is it seriously to be considered as a moral, unifying force, the health and strength of a nation?” James Baldwin. No Name in the Street. 1972. THE MASSIVE amount of electronic waste that is produced from the global use of digitized commodities is one of the most pressing social and environmental challenges of the 21st century. Global flows of e-waste are particularly problematic for the many developing countries where informal, dangerous e-waste recycling work has proliferated. 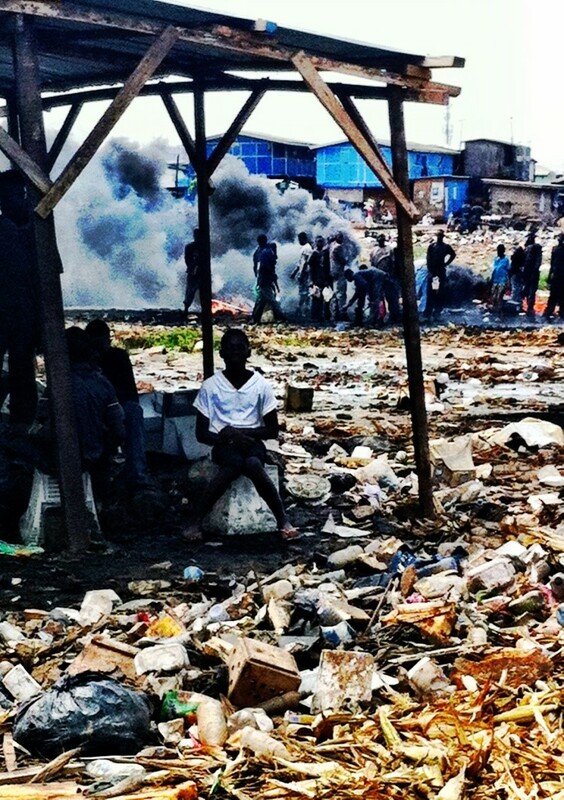 While providing a poverty alleviation strategy for some of the most marginalized communities in countries such as Ghana and India, informal e-waste recycling work is dangerous, presenting substantial risks to human and environmental health. REGULATORY RESPONSES to curtail the pollution emanating from these informal ‘urban mining’ industries are on the rise but the economic and social prospects they carry for informal waste workers are uncertain. WASTE GOVERNANCE regimes can be entirely ineffective when designed without meaningful consideration of the socioeconomic realities of e-waste recycling. This is evidenced by India’s e-waste law adopted in 2012, despite international human rights concerns linked to its negative impact on the 80,000 people working in India’s informal e-waste recycling sector and their families. REGRETTABLY IT seems Ghana is pursuing a similar, highly exclusionary legal path. A look at Ghana’s newly adopted Hazardous and Electronic Waste Control Management Bill (2016) reveals that this ‘sustainable’ e-waste regime lacks any coherent linkage to the existing waste management system, in which 95% of the e-waste generated is collected by the informal sector. IN GENERAL, the legal framework maintains the informal e-waste sector in invisible and insecure arrangements along the e-waste value chain. It establishes a State-led e-waste collection and recycling system that is totally delinked from the current reality of the e-waste chain in which e-waste generating households and businesses sell e-waste to informal sector collectors. EXISTING SOCIAL arrangements surrounding e-waste that involve exchanges between formal and informal actors on local and transnational scales are buried underneath this new, top-down, state-centered legal vision for the social and economic ordering of e-waste management. Rather than incentivizing manufacturers and importers to develop efficient closed-loop systems and foster sustainable relationships with informal waste collectors, the legislation gives the government immense discretion and control over e-waste management. It advocates a state-managed chain from collection to processing, providing no clarity on potential opportunities for the legal recognition of small-scale informal collectors who currently dominate the system. GHANA’S NEW e-waste law appears to create an imaginary space in which the informal sector simply does not exist. Moreover, it is a space under the strict command of governmental authorities who are empowered to order the “sealing up” of any “area, site or premises” suspected to be a place for hazardous waste disposal. Law enforcement officers are also granted a “power of search, seizure and arrest” over any person or place suspected of keeping or transporting hazardous wastes. Spaces that fall under the scope of these governmental powers include vehicles, lagoons, ponds, landfills, buildings, structures, storage containers and ditches. Evidently, this vaguely configured broad authority further legitimizes the persecution of informal waste collectors who are already subject to constant harassment, hostility and seizure by municipal authorities. THE NEWLY adopted legislation reflects the State’s distorted vision of what constitutes the e-waste economy. It is entirely removed from the spatial reality of actual e-waste flows and is likely to further drive the informal sector into places of invisibility that are characterized by environmental and social risk. Hence, law as embodied within the new e-waste legislation presents new threats to the livelihood of informal workers, rather than clarifying their engagement as stakeholders in a sustainable e-waste economy. IN ESSENCE, the laws of e-waste, at all scales, have originated from an artificial perspective of what constitutes sustainable waste governance, and have thus fostered the invisibility and precarious growth of the informal workforce. AS TO international environmental law, the evolving dynamics of the Basel Convention show that the Convention works together with the international trade regime to legitimize the e-waste trade. It does so by retaining its primary focus on removing barriers on transnational movements of used e-products. Global objectives in relation to human health protection remain mostly symbolic and unactionable, trapping the social and labour hardships of the global waste economy within the realm of national sovereignty. 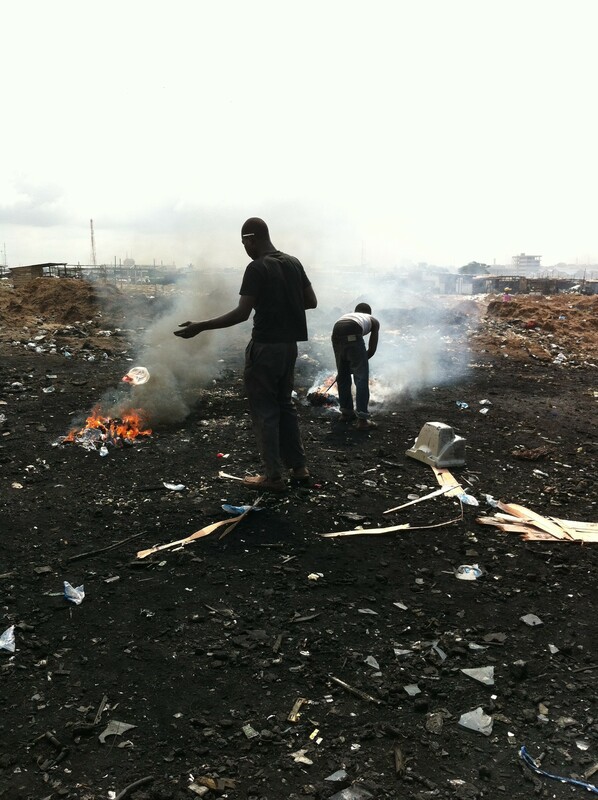 The possibility for certain transnational actors to play a role in international waste trading without engaging any form of accountability, and sometimes even preserving their anonymity, inevitably expands opportunities for transnational environmental crime in the global e-waste value chain and facilitates the proliferation of exploitative working conditions within the informal economy. 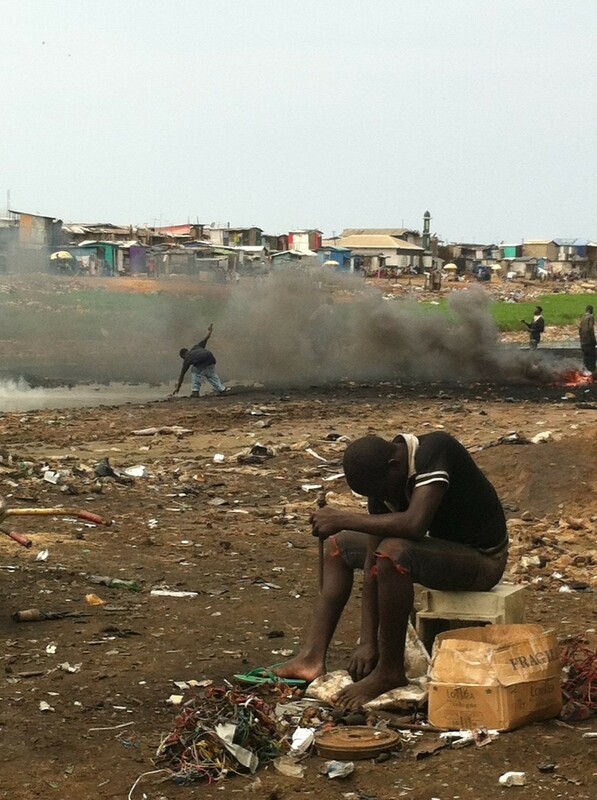 GHANA HAS certainly taken a critical step forward in introducing national e-waste legislation. However, the social and environmental success of the new law is far from imminent and will entirely depend on how inclusively the new regime will be operationalized with respect to the most marginalized social groups whose livelihoods have come to depend on their participation in the urban waste economy.